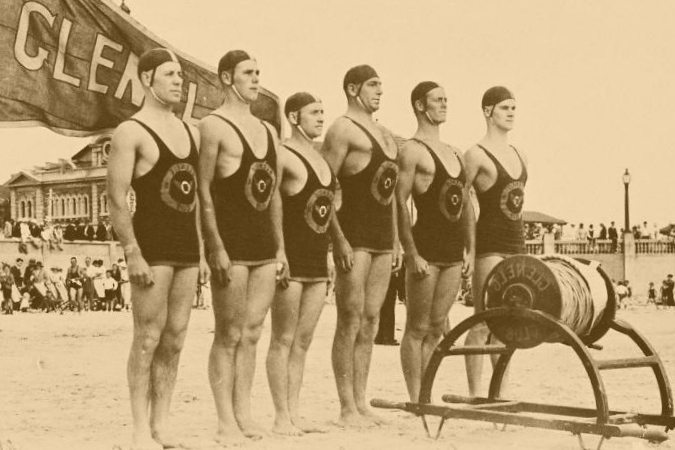 Founded in 1907, the surf lifesaving movement has become an Australian icon. With over 166,000 members and 311 clubs, it's the largest volunteer organisation in the country, and one of the largest in the world. 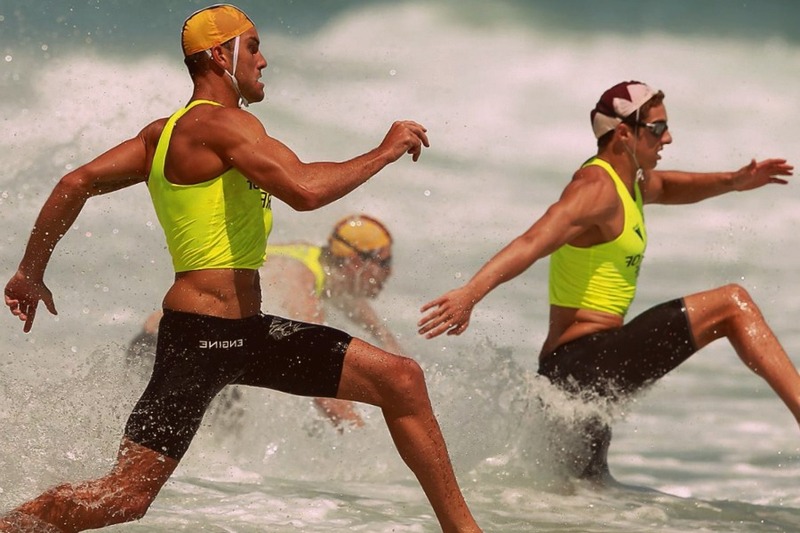 In addition to the volunteers, there are also thousands of paid lifeguards patrolling Australia's vast coastline. Surf lifesaving clubs opened in New Zealand in 1909, and in the United Kingdom in 1955, but Australia remains the international leader, with modern clubs now employing helicopters, jet boats, jet skis, IRBs, drones, and sophisticated camera networks. Australian advances in rescue methods and resuscitation techniques have been adopted by similar associations around the world. But the movement doesn't exist only to save lives. Members also enjoy the opportunity to participate in a wide range of surf sports and beach activities. 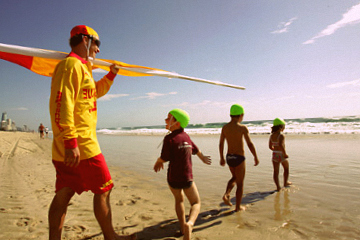 Young surf lifesavers aged 5-13 are called Nippers, and they make up 40% of the total membership. 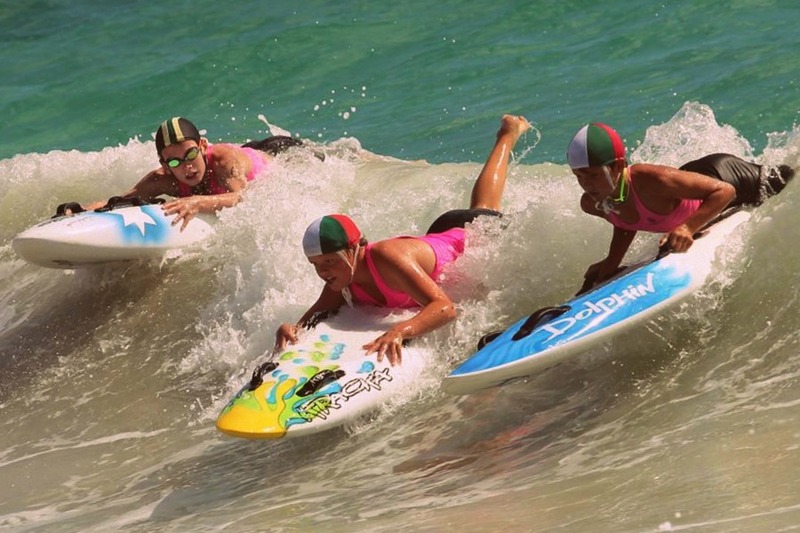 They take over the beaches each Sunday morning throughout summer, developing confidence, skills and surf awareness in preparation for their role as the next generation of lifesavers and surf sports competitors. 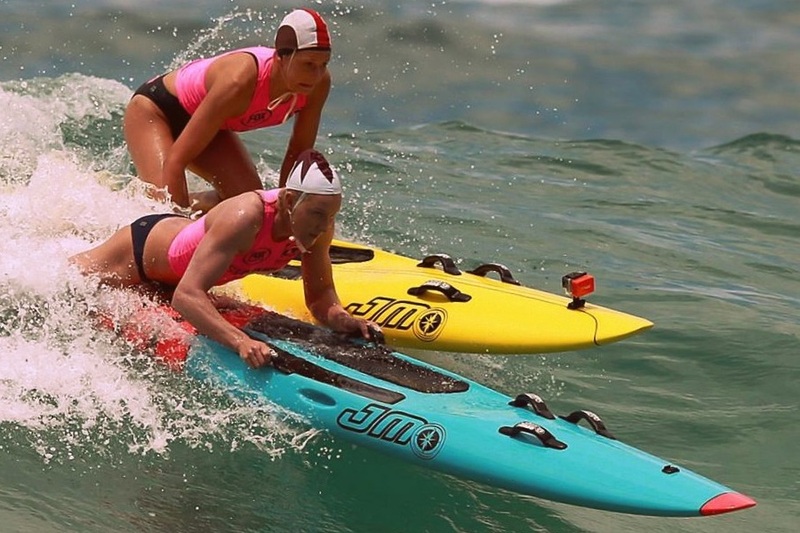 Australians are famous for their sporting passion, and lifesaving events offer a unique means for lifesavers to keep fit and hone their lifesaving skills, while also satisfying their thirst for competition. Sporting disciplines focus on swimming, sprinting, surf negotiation, surf craft and beach-based activities. 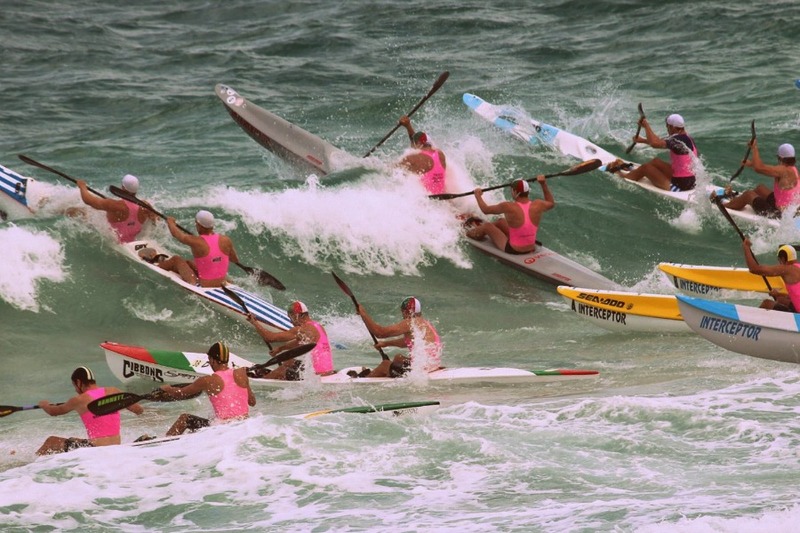 The ultimate surf sport is the Surf IronMan /IronWoman event, which comprises a surf swim, board paddle and ski paddle, interspersed with beach running. The guides below cover all aspects of surf lifesaving, from Nippers to patrolling and competition. If you're not already a member, then support your community by joining your local club, enrolling your kids in Nippers, or earning your Bronze Medallion so you can help keep Australia's beaches safe. 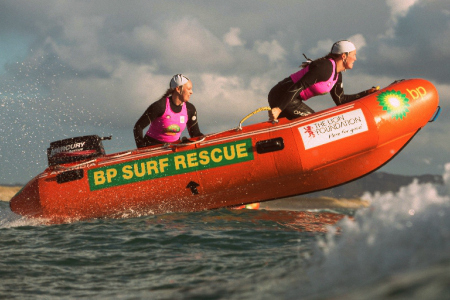 Active SLSA volunteers keep Australia's beaches safe each weekend. Find out what happens on a typical patrol. 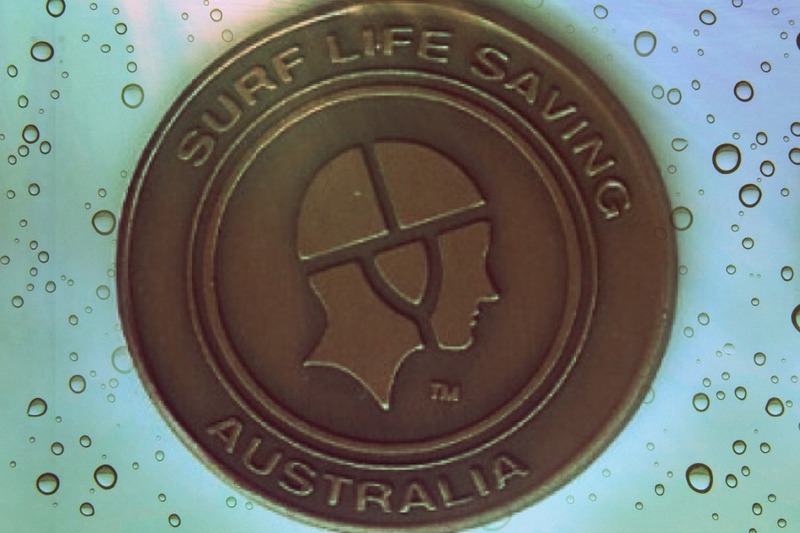 The Bronze Medallion is the entry-level qualification for Surf Lifesavers. Discover what it takes to achieve this award. Surf rescue is a vital skill for active SLSA members. Learn more about IRB, Tube, Board, and unaided rescues. International Life Saving Federation and SLSA signals enable clear communication between the beach and the ocean. Learning effective CPR techniques could mean the difference between life and death. Always remember DRSABCD. 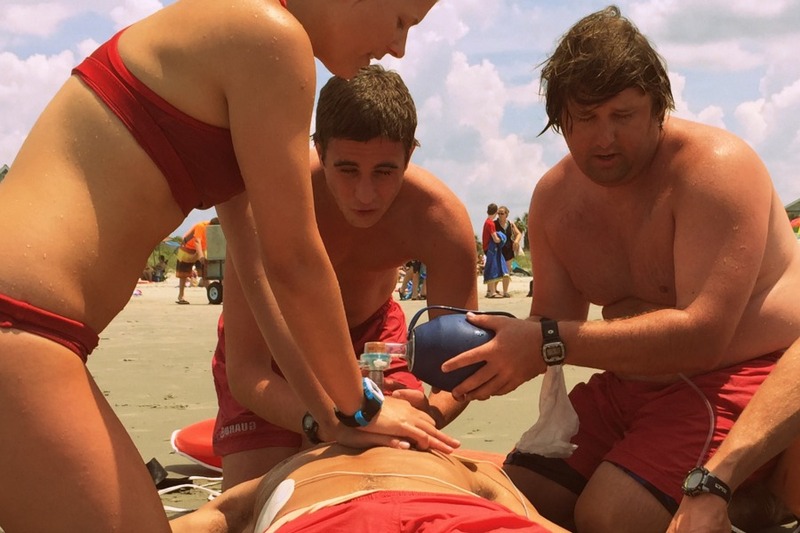 Lifeguards regularly assist beachgoers suffering sprains, strains, spinal injuries, stings, heatstroke, or hypothermia. Keeping kids safe in the surf since the 1920s. Nippers is surf life saving for children aged 5-13 years. 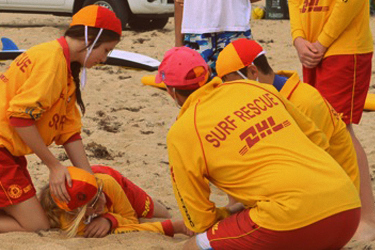 The Surf Rescue Certificate is the entry level award for junior surf life savers aged 13 and above. 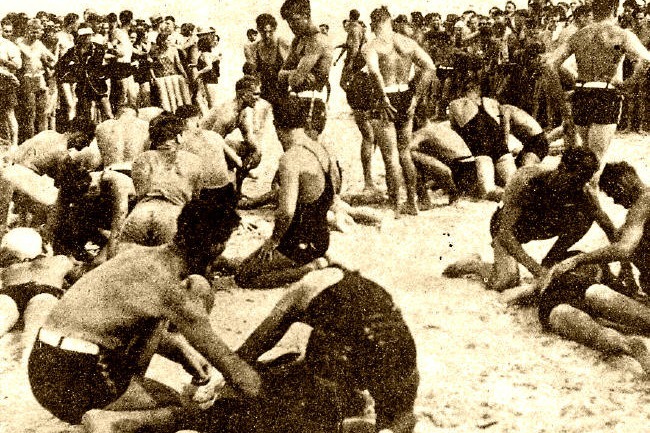 Founded in 1906, the Surf Live Saving Australia movement has a rich and fascinating history. 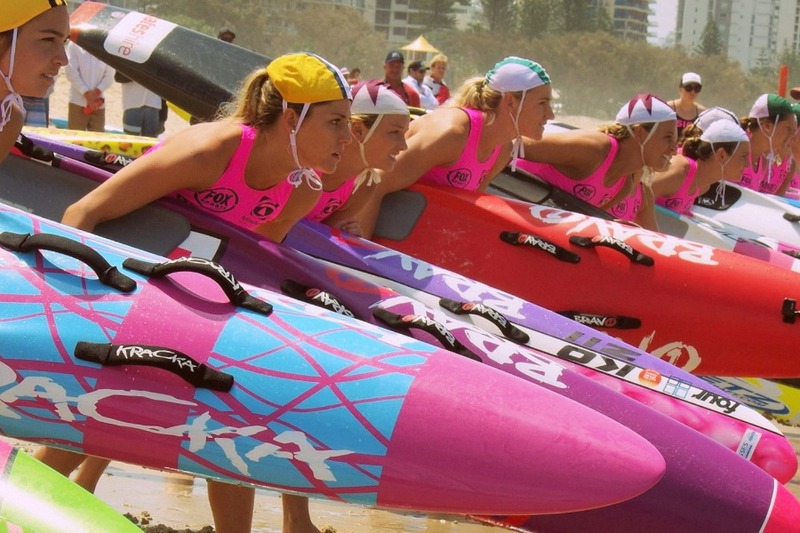 Competition is an SLSA cornerstone, allowing members to gain recognition for their fitness and surf sports prowess. Surf carnivals are sporting and community events held at club, state, national and international levels. 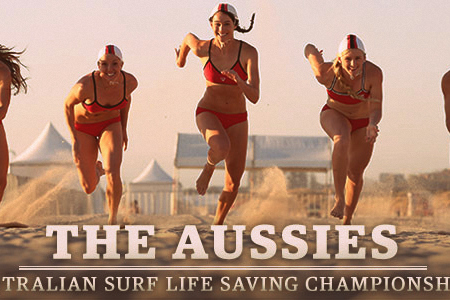 The Australian Surf Life Saving Championships, 'The Aussies', is the pinnacle event in the SLSA calendar. 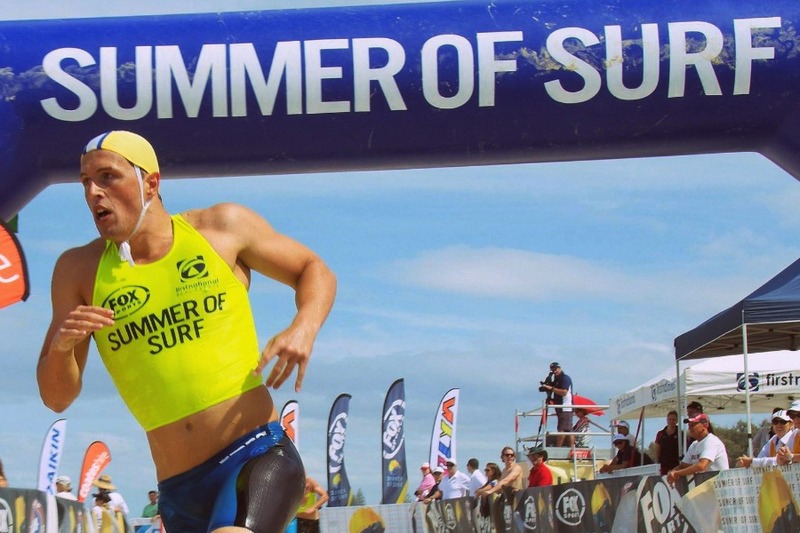 The Summer of Surf comprises eleven established summer surf sports events, culminating in a Grand Final. 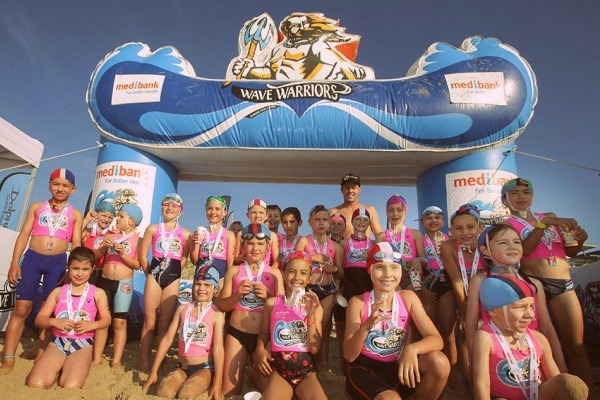 Created by Surf IronMan champion Zane Holmes, Wave Warriors is a Junior Surf Lifesaving event for children aged 8-14. Swim-Run-Board-Ski. The ultimate contest of speed, skill, and endurance. These athletes are the elite of surf sports. Teams of swimmers and paddlers compete in a relay event over an IronMan course. The order of the legs may vary. 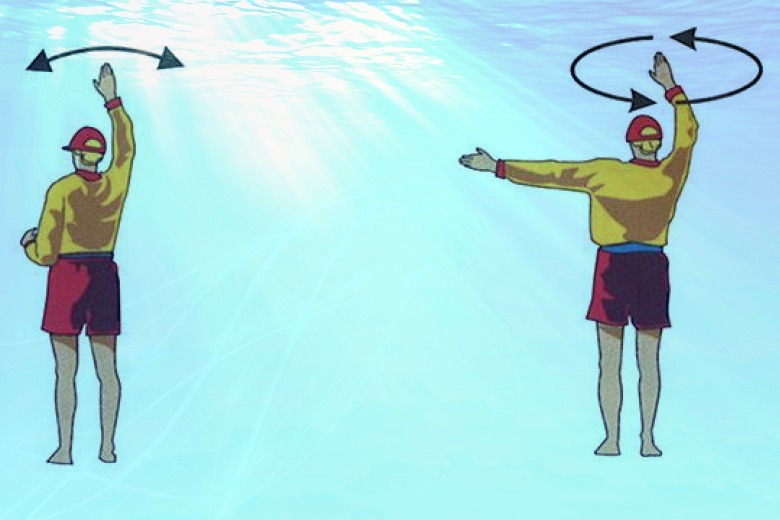 A contest in which a patient swims to a buoy and waits for the board paddler to collect them and return to shore. 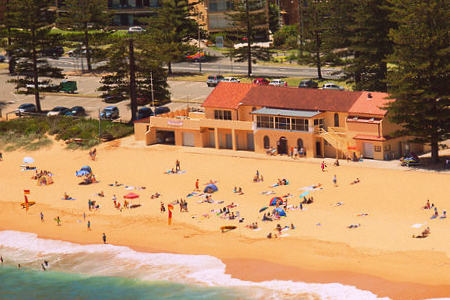 Surf Life Saving Australia operates 311 clubs across the country. Find your local SLSA branch or club using this directory. On 6th February 1938, hundreds of bathers were swept out to sea by a series of huge freak waves that hit Bondi Beach. It was the largest mass surf rescue in Australia's history, and a transformative event for the Surf Live Saving movement. This is the remarkable true story. 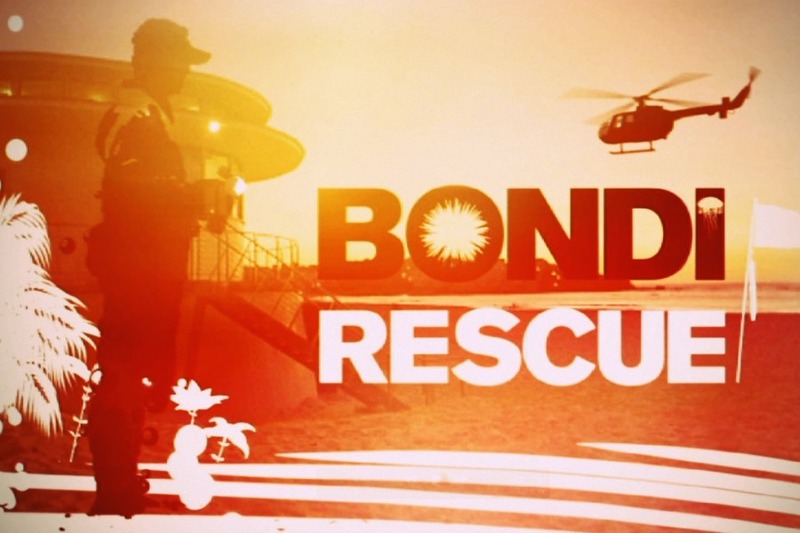 Bondi Rescue is a popular Australian TV series that follows the daily activities of the professional lifeguards who patrol Sydney's Bondi Beach. The rescue boards and jet skis used by the Bondi lifeguards have been fitted with video cameras for dramatic close-up footage. You don't always want to carry surfing gear to the beach. For the flexibility of a craft-free activity, try bodysurfing, soft sand running or ocean swimming. 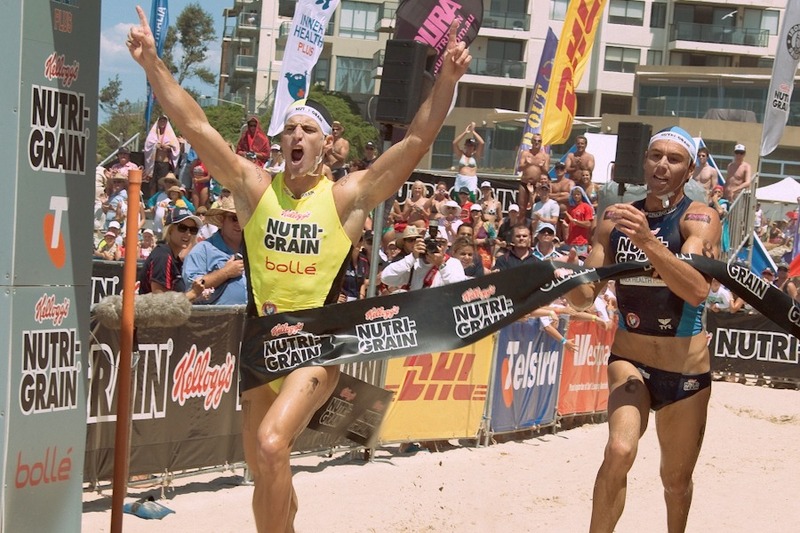 And for the more competitive, beach volleyball, beach flags, and run-swim-run contests will get the adrenaline pumping.